Among the many differences between the G7 and Bilderberg meetings, perhaps the most significant is the levels of transparency. At last year’s G7 meeting in Schloss Elmau, for example, the German Government not only provided the programme for the “Meeting of Heads of State and Government”, but also overviews of the two days of meetings, the summit declaration, which essentially summarised the outcomes of their discussions and a number of press releases and other documents. G7 participants also spoke to the media about the meeting. The White House, for example, provided transcripts of Obama’s speeches and press conferences, as well as a Fact Sheet and extended press briefing on the G7. This level of detail, and in particular the willingness of its participants to be cross-examined by the media, means that the achievements or otherwise of the G7 are easier to analyse. It is telling that, in contrast, the Bilderberg Group’s much vaunted “efforts to be more transparent” (The Independent, May 29, 2014) have again been found wanting. 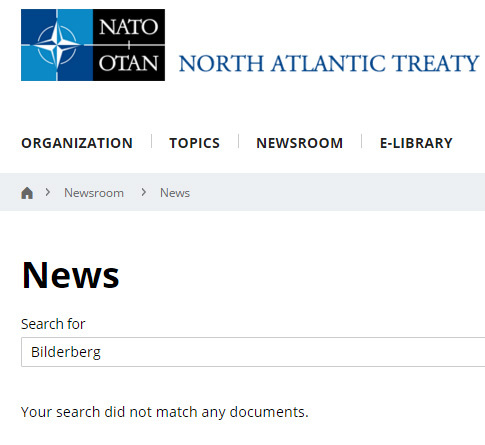 As with previous meetings, the official Bilderberg website provided no more than a perfunctory press release and a list of participants. There was no pre-Bilderberg press conference. Questions posed to Bilderberg’s press spokesperson were met with the solemn recitation of information already on the Bilderberg website. Finally attempts to obtain information from Bilderberg participants as they were leaving Austria, elicited either bizarre denials about even being there (as in the case of former World Bank chief James Wolfensohn), or variations on “no comment.” And contrary to the claims made by Steering Committee member, Franco Bernabé – “there is no secret, everything is published on the site…There will be a statement released by Bilderberg” – nothing else was released by the Bilderberg Group. 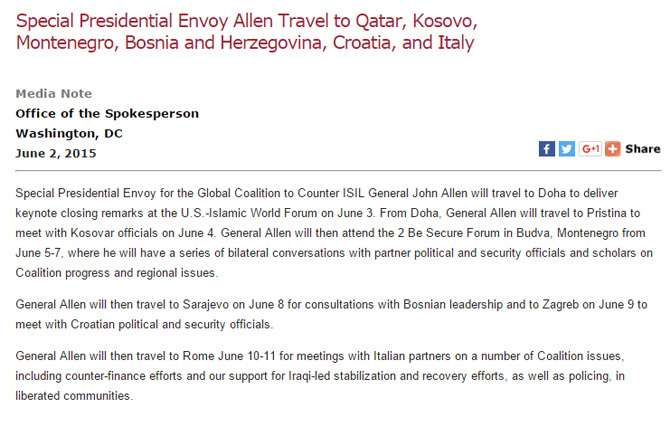 This omission from General Allen’s schedule played out on his return to the US on June 16, when he was interviewed by Judy Woodruff from PBS who noted he had “just come back from a trip to Iraq and a number of other countries”, including “Croatia, Bosnia-Herzegovina, [and] Montenegro…” But not Austria, for some reason. Perhaps it was just an unfortunate lapse by their public relations officers, who were presumably too overwhelmed with other minutiae to mention their superiors would be participating in a three-day conference in Austria, a major commitment of time for any senior politician or official. Fortunately some government participants did manage to account for their whereabouts. An official press release confirmed that Finland’s Minister of Finance, Alexander Stubb, would be attending the “Bilderberg Group conference in Austria.” While the Government Information Service of the Netherlands announced that Prime Minister Mark Rutte and Princess Beatrix would be attending (Telegraaf, Jun. 10, 2015). And there was official confirmation that Belgium’s Prime Minister, Charles Michel, and State Minister, Karel de Gucht were also invited. Michel’s director of communications explained that this invitation to Bilderberg was a “way to put Belgium on the world map of investors” therefore it was important to “honor the invitation” (RTBF, Jun. 09, 2015). But they were in the minority, for most officials and politicians there were only gaps in their schedules. A couple of months after the meeting, The Guardian (Aug. 7, 2015) had asked Henri de Castries, Bilderberg’s Chairman and CEO of AXA one of world’s biggest insurance companies, if Britain’s future in the European Union had been discussed at Telfs-Buchen. 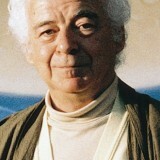 De Castries’ response was as obscure as it was enigmatic: “Look at the Bilderberg agenda and you will have the answer.” The Guardian, though, noted that the “Bilderberg agenda is not available publicly.” This is not strictly true; the press release published on the Bilderberg Meetings website included a list of fifteen “key topics for discussion” (see Figure 7). But compared to topic information provided for previous meetings, which comprised a series of themes and questions, the 2015 agenda was an uncharacteristically bland laundry list that gave little away as to what the specific themes of each session might be. European Strategy: According to a letter from the German Federal Ministry of Defence, published on the Alles Schall and Rauch website, German Defence Minister Ursula von der Leyen had, at the request of the Steering Committee, “held a lecture on European Security Strategy and participated in a panel discussion on the topic.” While exactly what the Minister said at Telfs-Buchen is unknown, it seems reasonable to assume she took the opportunity to discuss more candidly her support (previously given at the 10th Brussels German Marshall Fund, in March 2015) for European Commission President Jean-Claude Juncker’s proposal for a “European Army” through the integration of all of Europe’s armed forces and the establishing of multinational units. Greece: Naturally the Greek debt crisis was particularly topical; according to Eilertsen, the discussions about how to resolve the Greek crisis “were among the most intense.” In fact the “full range of solutions were represented” and Eilertsen wrote that she was “surprised by the temperature of the debate.” Spiegel Online ( 17, 2015), citing an anonymous conference participant, noted some Bilderberg participants believed that a Greek exit from the Euro would be “manageable”, while others feared the “unpredictable reactions of the financial markets.” There was a surprising consensus, though, that the Greek crisis was receiving “far too much attention”, given the other problems in the world. 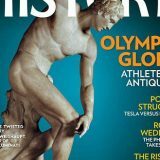 Perhaps influenced in some way by the debates at Telfs-Buchen, Ryanair CEO Michael O’Leary later expressed his view the Greeks had “elected a bunch of lunatics” and made the prediction that “ultimately [Greece’s government] will have to bend the knee – and they should” (Newstalk, Jul. 8, 2015). And they did. Russia: In what seemed to be its only leak from the discussions, the American Free Press ( 22 & 29, 2015) Bilderberg special issue reported that the Bilderbergers had “pondered waging economic warfare against Russia.” The Bilderbergers had “debated how to wean Europe off Russian gas, arm the Western-backed government of Ukraine and generate fat energy contracts for Bilderberg-connected companies…” The AFP’s reporting fails to identify who the speakers were, but it seems likely that it was two first-time participants: Pulitzer Prize winning journalist Anne Applebaum, Director of the Transitions Forum at the London-based Legatum Institute; and self-exiled Russian economist Sergei Guriev, Professor of Economics at the Paris Institute of Political Studies (Sciences Po). Neither defended Putin’s Russia. Writing in the Financial Times (Jun. 26, 2015), shortly after Bilderberg, Applebaum accused Russia of “pursuing an ambitious grand strategy: divide the EU, undermine NATO, reverse the European transitions and the post-cold war settlement.” She also warned that if enough “obstreperous central European populists come to power” they could persuade Germany to side with Russia rather than Europe. Writing in Foreign Affairs (Sep/Oct 2015), house journal of the CFR, Applebaum again warned of US and NATO weakness in the face of growing “Russian aggression”, including a disinformation campaign and Russian support for “anti-NATO, anti-EU, far-right and far-left political parties in Europe.” While Guriev, in a paper released by the Carnegie Moscow Center in December 2015, had predicted that economic sanctions against Russia would, over the long-term, lead to economic stagnation, a drop in Russia’s living standards, and increased corruption. Middle East: Clearly an important topic, Eilersten’s indiscreet snippet suggests an obvious theme: “is there any hope for progress in Iraq and Syria, which in terms of terrorism and migration casts a shadow over the rest of the world, or should we plan for decades of turmoil and war?” While we have no reliable insights into the substance of that debate, we do know what a few of the key participants on this issue actually think. We know, for example, that after Bilderberg, Peter Sutherland, then Chairman of Goldman Sachs, International and the UN Special Representative for Migration, argued publicly that Europe must accept more refugees from a number of places, prime among them being Syria. While former CIA Director General David Petraeus, in his testimony before the Senate Armed Services Committee in September 2015, had argued for a larger US role in overthrowing Assad, including direct attacks on the Syrian Air Force. But it is the full range of public statements by key Bilderberg participants after the event on how to deal with Syria (detailed below), which suggest the true direction and intent of that particular session. Terrorism: Eilertsen informs us there was a debate on “how we handle foreign fighters who return to their home country” between first-time participants Shiraz Maher, Senior Research Fellow at the International Center for the Study of Radicalization at Kings College in London and Professor Gilles Kepel, from the Paris Institute of Political Studies. Maher had long been an advocate of early intervention to stop radicalised Muslim youth from joining jihadi groups in Syria, and of deradicalisation programs, rather than imprisonment for returning foreign fighters. Kepel believes that ISIS is trying to provoke a religious war between Muslims and non-Muslims in Europe and supports “efficient police operations and education” to reduce youth radicalisation in Muslim neighbourhoods. Also contributing to the debate was Patrick Calvar, Director-General of France’s internal security agency, the DGSI. We know this because just after the ISIS (Islamic State of Iraq & Syria) attacks occurred in Paris, Eilertsen disclosed that she had previously “heard French Intelligence speak on the topic”; she did not say where she had heard this, but Calvar was present at Telfs-Buchen. According to Eilertsen, in regards to the Paris attack, French intelligence was “hardly surprised that it happened”, and she revealed that “French intelligence” – presumably Calvar at Bilderberg – had previously admitted that they “take for granted that [an] attack will happen” (Aftenposten, Nov. 14, 2015). And it did. United Kingdom: Eilertsen’s account suggests that, not surprisingly, the referendum on Britain staying in the EU proposed by UK Prime Minister David Cameron was discussed: “should the UK get out of the EU, or is it madness to discuss the option?” Nothing of note has leaked from the discussions themselves, although The Economist newspaper, represented at Telfs-Buchen by its Editor-in-Chief Zanny Minton Beddoes has come out strongly against the so-called “Brexit” option. 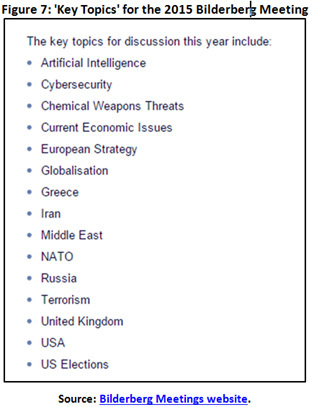 This could be taken as an indicator of the tenor of the discussion, at least according to Bilderberg People (2011) co-author Ian Richardson who claims that the “headlines of journals such as The Economist” can give a “sense of the discussions that have taken place” at Bilderberg (Huffington Post, Jul. 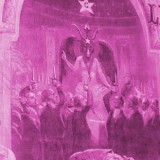 13, 2011). US Elections: This key topic attracted a lot of attention from the alternative media, even though no presidential contenders attended this year’s event. 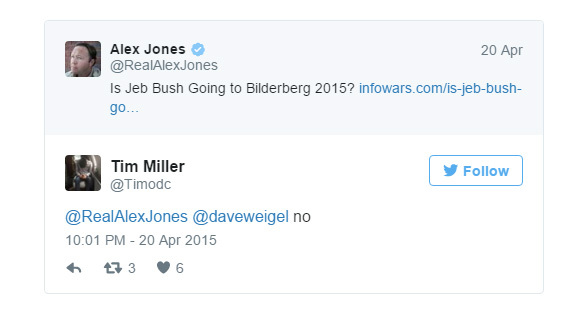 Infowars ( 20, 2015) had speculated that former Florida Governor Jeb Bush might include a diversion to Bilderberg for his forthcoming trip to Europe; but Bush’s communications director, Tim Miller, flatly denied this (see Figure 8). Speculation then turned to presence of Democrat fixer Joseph Johnson and Jim Messina, CEO of the Messina Group and head of Super Political Action Committee (PAC), Priorities USA, which has declared itself “all in for Hillary Clinton.” Infowars (Jun. 08, 2015) wondered if Messina—described by Bloomberg (Mar. 20, 2015) as “Silicon Valley’s go-to-government fixer” due to his advisory work for Uber, Airbnb, Beepi, Sherpa Ventures and as a board member for cybersecurity firm Vectra Ventures—was at Bilderberg to ensure “none of Hillary’s potential challengers get the big bucks from the innumerable transnational banks and corporations that will also be represented at Bilderberg.” Perhaps there was some truth to this. But Hillary Clinton’s campaign has confirmed support from only a couple of the rich Americans at Telfs-Buchen, specifically: Google’s Eric Schmidt and Evercore’s Roger Altman. Vin Weber, from Mercury LLC, and Kenneth Griffin CEO of Citadel Investment Group remain firmly in the Republican camp; while Reid Hoffman, Co-Founder and Executive Chairman of LinkedIn, has reportedly baulked at donating to Priorities USA, despite confirming that he expects to eventually support Hillary Clinton. Finally Bilderberg Steering Committee member Peter Thiel, President of Thiel Capital and previously a generous supporter of Ron Paul, has yet to commit himself (or his money) to any presidential candidate. With fifteen topics for discussion over two and a half days, the 2015 Bilderberg was hardly a relaxing get-together. Belgium’s Prime Minister Charles Michel seemed to find it hard going, later telling the Belgian press that Bilderberg was “very intense, there were six sessions a day” [“très intense, il y avait six sessions par jour”] (Le Vif, Jul. 08, 2015). Other first-time participants did not seem to mind the pace. Ryanair CEO Michael O’Leary thought Bilderberg was a “great experience”; while Eilertsen praised it as “very useful…because participants spoke so freely.” Even more remarkable is that despite having entered an age where pocket-sized devices that are able to record and transmit sound and vision are both cheap and ubiquitous, Bilderberg is still able to keep its secrets. Following last November’s ISIS-led terrorist attacks in Paris (note that this “official” narrative of ISIS culpability has been challenged in many quarters), a consensus quickly emerged across Europe at both the popular and the political level that ISIS must be “destroyed.” Leading the charge was France’s President Francis Hollande, who announced days after the attacks, that France was “at war” with ISIS and was now determined to “destroy them.” Other countries quickly followed suit, including Germany and Britain, both of which pledged forces to join the effort to “destroy” ISIS. There have been some dissenting voices; most notably Britain’s Leader of the Opposition Jeremy Corbyn who dismissed Prime Minister Cameron’s apparent eagerness to commit to force as “bomb first, talk later”, but most European countries supported the effort. While the Paris attacks may have acted as a catalyst for an intensification of European and US attacks on ISIS, this actually seemed to follow an earlier shift in elite opinion, traceable to the Bilderberg meeting at Telfs-Buchen. perform a considerable function in the development of narratives that provide legitimacy, as a basis for action, in world affairs. 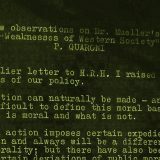 It’s in forums like this that policy consensuses are formed, shaped and disseminated – and although the process is often unconscious, the outcomes are in no way random or accidental (Huffington Post, Sep. 12, 2011; emphasis added). 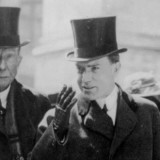 Historically, Bilderberg’s efforts to reshape the transatlantic political consensus can be seen in the case of its handling of US relations with Communist China. Through four meetings – 1956, 1958, 1959, and 1964 – a succession of mostly European speakers criticised and challenged the US refusal to restore relations with Peking. Numerous US Bilderberg members, including the US Bilderberg Secretary-General, then played a role in various initiatives in the US devoted to overturning that policy. Similarly, the day long energy session at the 1973 Bilderberg meeting in Saltsjöbaden, Sweden, was also tightly organised with two highly-regarded presenters, promoting broadly similar solutions, presenting before an audience of participants selected for their expertise and authority in the energy sector. This helped lay the groundwork for the developed world’s response to the 1973 Oil Shock. Senator, I think that, in a globalized world today, where there — we’re perhaps one airline seat away from somebody exporting this right into Paris or wherever else — we have to be very, very careful thinking that we can contain this without having ramifications on our economy, on our friends (SASC Transcript, Jan. 27, 2015, p.100; emphasis added). The audience for this debate was also the right one, comprising numerous senior European politicians and officials with a stake in the debate. This included the Prime Ministers of Belgium and the Netherlands, Germany’s Minister and Deputy Minister for Defence, Britain’s Chancellor of the Exchequer, various government ministers from Switzerland, Sweden, Belgium and Finland, and the heads of the French and Danish intelligence services. They were also joined by a number of journalists, academics and former officials who operated in the public sphere as national security experts. It was an audience both well-primed for a debate on the effectiveness or otherwise of the anti-ISIS campaign at that stage and also to effect a shift in the transatlantic consensus on what to do about Syria. we welcome the continued efforts of the Global Coalition to counter ISIL/Da’esh. We reaffirm our commitment to defeating this terrorist group and combatting the spread of its hateful ideology. Britain had committed to expanding its training mission in Iraq, but there was no appetite to dramatically escalate the direct military effort beyond airstrikes. In fact some of the G7 leaders seemed confident the current strategy was sufficient. US President Obama, for example, on the second day of the G7, in a joint press conference with Iraqi Prime Minister Al-Abadi, predicted ISIS would be “drive[n] out of Iraq, and ultimately it is going to be defeated.” In his press conference at the end of the G7 Obama claimed they had made “significant progress in pushing back” ISIS in parts of Iraq, but later also admitted that “we don’t yet have a complete strategy” for assisting Iraq. For some commentators this prevarication was too much. Obama’s admission coupled with the G7’s vague commitment to do something about ISIS, would only “reinforce the perception of irrelevance that has hung over [the G7] for years” (The National, Jun. 11, 2015). In August 2015 the Daily Beast reported that Petraeus had been “quietly urging U.S. officials to consider using so-called moderate members of al Qaeda’s Nusra Front to fight ISIS in Syria.” Then in September he was telling the Senate Armed Services Committee that progress against ISIS in Iraq had been “inadequate” and the US needed to increase its support to those forces opposing ISIS. UK Chancellor of the Exchequer and regular Bilderberg participant George Osborne used a G20 meeting in early September to allude to the need for stronger military action in Syria. Osborne told journalists that Europe’s migration crisis could be solved by dealing with the problem “at the source, which is this evil Assad regime and the ISIL (Islamic State) terrorists…” (Reuters, Sep. 5, 2015). “We have to find a means of destroying [ISIS]. It isn’t simply a matter of containing them — it’s an issue of destroying them… It cannot be dealt with purely as a police issue in the United States… There needs to be an outcome of the Syrian civil war… And then we can have an international order in which we identify the key elements of people that are supporting us and the elements that are opposing us” (Fox Business, Dec. 18, 2015; emphasis added). Speaking at a Brooking Institution event in November 2015, Petraeus argued that if the objective was to “degrade and defeat” ISIS “you’re going to have to have a ground force.” Petraeus stopped short of advocating the bulk of the ground troops should be US forces, he would prefer “Sunni Arab forces”; but he also wanted to see more US Special Forces conducting operations against ISIS. Calling ISIS a “stateless band of terrorists”, the BloombergView Editorial Board advocated applying “financial pressure as well as military might” to defeat ISIS (BloombergView, Nov. 17, 2015). Anne Applebaum called for Europe to adopt a “consistent strategy designed not to control ISIS, but to destroy it” (Slate, Nov. 14, 2015). Back in 2012, an illuminating article by The Guardian newspaper’s roving Bilderberg correspondent Charlie Skelton mused at length about the connections between the “most quoted members of the Syrian opposition and their connection to the Anglo-American opposition creation business.” Although he delved only briefly into the Bilderberg angle, it was remarkable how many key Bilderberg members were also connected to the leading spokespeople in Europe and the US, calling for the military support of the west to overthrow the Baathist regime of Bashar Al Assad. Of particular interest was that Bassami Kodmani, who was in 2011-2012 the spokesperson for the Syrian National Council and Executive Director of the Arab Reform Initiative (ARI), had attended the 2008 and 2012 Bilderberg conferences. 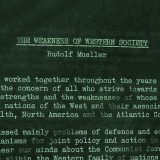 The ARI had been initiated by the Council on Foreign Relations’ US/Middle East Project, which was headed by a number of regular Bilderberg participants, including Peter Sutherland and Henry Kissinger. Providing “financial oversight” to the ARI was the Centre for European Reform; its Advisory Board is chaired by (now former) Bilderberg Steering Committee member and Vice-Chair of Scottish Power, Lord John Kerr. Skelton’s analysis certainly implied that Bilderberg was involved in trying to shape transatlantic opinions on the Syrian conflict. The involvement of so many Bilderberg participants in the push to “destroy ISIS” after Telfs-Buchen, suggests that this subtle shaping and influencing role persists. By giving a platform to well-connected and highly experienced critics of the US-led approach to ISIS, Bilderberg clearly hoped to shift the consensus—that the current effort was sufficient—in another direction. To be sure, the actual catalyst for most of the government participants at Telfs-Buchen to offer similar rhetoric was the Paris attacks, but the tone had already been set by Kissinger, Zoellick, Petraeus, The Economist and Bloomberg, among others. Bilderberg’s deliberate lack of transparency ensures that it is difficult to track and to document what it is actually up to. So, inevitably, this means this account should not be seen as a complete exposure, but rather as a glimpse. And this raises the question as to whether either the mainstream media or their alternative competitors are really up to taking on this seemingly insurmountable task of penetrating Bilderberg’s veil of secrecy. That’s one hell of an article man. Alot of great details in there. The fact that Peter Thiel has relations to Bilderberg is confusing. As a strong supporter of Ron Paul, you would think he would be on the wrong side of the fight here. As far as ISIS goes and the Migrant Crisis, in many ways this looks like an engineered crisis. The elites have long wanted to flood the more elite nations with third party cockroaches, so I don’t feel that these events are a mistake. Just think about it, where are the weapons coming from that are funneled through to ISIS? Where is the money coming from? Who is funding the operations? Surely the Bilderbergers know the answers to these questions. Whether or not BilderBerg is connected to a unified international push to overthrow Assad and destroy ISIS, frankly I don’t see the angle. Russia is now involved, China is involved, You have multiple parties and multiple psuedo-governments in Syria. It’s a mess. Fine go ahead take them out, I don’t know what they have to gain other than I suppose fattening the pockets of the Military-Industrial complex. Last year I had some fun with looking at twitter accounts of possible mystery attendees of this meeting, to see if they had blank days. This is admittedly a slender clue, but I noticed that one of the twitter accounts of Mikhail Khodorkovsky was silent for 3 days the weekend Bilderberg was on. (I’m sorry, but I can’t find it again). He used twitter almost every day of the first months of 2015. Unfortunately he also had other empty spaces of several days in a row, so it is not very conclusive. I tried to look for more on this, but I came up with nothing. He was not spotted at the airport, but he lives in Switzerland and likes to take trains when he travels. He was not on the official list of people attending, but given the tensions with Russia he would be a natural guest. I believe not all the people attending are on this list?